Bulleys commercial experts offer a wide range of commercial property in the West Midlands. Finding commercial for sale or to let throughout West Midlands can often be a time consuming process, so we provide our expertise to help you make the right choice. If you can't find the commercial property in the West Midlands you are looking for let us know and we will be able to assist you. 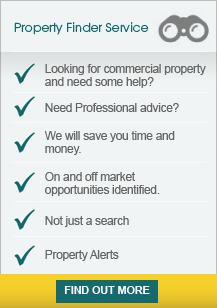 Why not try out our property finder service or register for commercial property in the West Midlands alerts. Our commercial property in the West Midlands listings are updated daily. We also provide other commercial services including property valuations, renegotiating leases, rating, and commercial property management in West Midlands. The site is located towards the rear of a service road accessed off Ounsdale Road opposite the Round Oak Public House being within 1 mile of Wombourne Centre. It can also be accessed from Giggetty Lane. The B4176 Bridgnorth Road lies approximately 1 mile distant and.. The property is situated off the Wobaston Road approximately 2 miles to the south west of Junction 2 of the M54 and the Jaguar Land Rover engine plant at i54. Wolverhampton City Centre is approximately 4.2 miles to the south. A new access will be provided off Balliol Road.. Strawberry Lane Industrial Estate fronts Strawberry Lane and is located off Neachells Lane, Wednesfield approximately ¾ mile North of its Junction with the main A454 Willenhall Road linking Wolverhampton City Centre with the M6 Junction 10 some 3 miles distant via.. The site is situated off Tarmac Road just off the A4039 Millfields Road and within 1/4 mile of Bilston town centre. Junction 10 of the M6 is within 5 miles along with Wolverhampton city centre within 3 miles.